We know it is important to be thorough. That’s why we offer a comprehensive eye examination that will uncover hidden, symptomless, potentially sight-threatening eye disorders and diseases that are not found by a simple vision screening. Since the eyes are a part of the body, they can be affected by seemingly unrelated health conditions. We must know about your general health and your medications including nonprescription medications prior to your eye examination. This is the test used to determine the best prescription for your eyes. 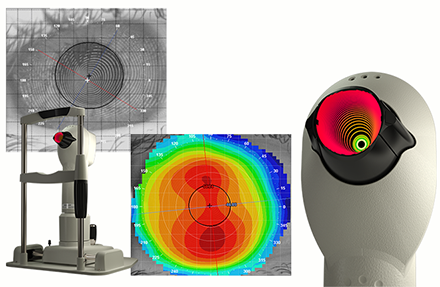 We will ask you a series of questions while showing you lens choices which will help us determine the optimal lenses for your vision and comfort. Evaluating the way your eyes work together and individually can tell us if the nerves and muscles controlling your eyes are working properly or require more investigation. Your future vision depends on how healthy your eyes are today. This testing is the most important part of the exam and will take up the majority of the time. The slit lamp microscope is used, your eye pressure is checked, the pupils are dilated, and the inside of the eye is viewed. We can detect early signs of glaucoma, cataracts, macular degeneration, hypertension, and even diabetes through these tests. All patients, parents or guardians will be provided with an explanation of our findings, their significance, the treatment plan, and other options. Your questions will be answered and the solutions to any difficulties will be reviewed. When necessary, this computerized eye test is performed to evaluate your peripheral vision, or your ability to see to the side and above and below. Blind spots can be documented, and disorders such as glaucoma, strokes, and brain tumors can be detected. Digital documentation of the front and/or inside of the eyes may be necessary if there are diseases or disorders that need to be reviewed and compared at a later date. The thickness of your cornea can be measured to 1/1000 of a millimeter using this ultrasound device. This test can be important in determining your risk of developing glaucoma, monitoring the health of your corneas during contact lens wear, and determining your eligibility for LASIK eye surgery. We are proud to offer the latest in eye diagnostic imaging with this device, which is usually only found in larger multi-doctor clinics. 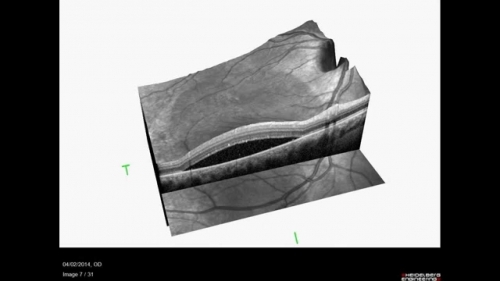 The SD-OCT uses light to create high resolution three dimensional images of the eye similar to an MRI. It can detect pathology as small as 5 microns (5/1000 mm). We use it to evaluate macular degeneration, diabetic retinopathy, glaucoma, and many other diseases. The shape of your cornea can be imaged and mapped out from edge to edge in order to diagnose subtle corneal diseases like keratoconus and also aid in creating custom designed contact lenses that maximize vision and health. Sometimes the internal structures of the eye can not be viewed due to opacities in the front of the eye such as corneal scars and cataracts. It is crucial to be able to examine these structures to make sure the eye is healthy. 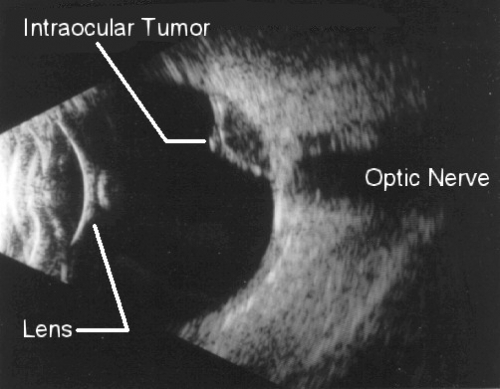 The B-scan ultrasound helps us to view these internal structures using sound waves to image the inside of the eye. Also known as a sonogram, this is the same device used to image a baby inside of a mother's womb, altered for use in the eye.